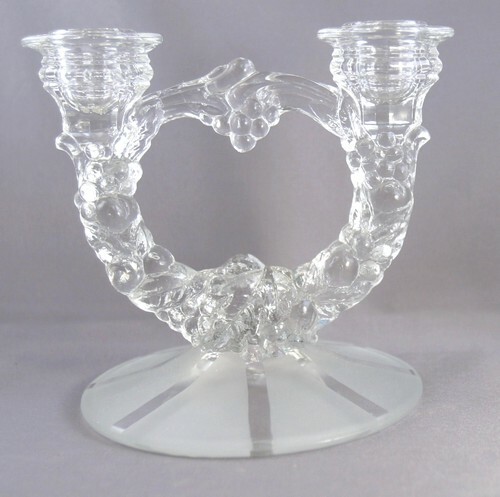 Pressed glass candle holder for 2 candles. Arms and cross piece are grape clusters and leaves. The base is a large circle with frosted glass sections. Takes standard candles. Each candle holder measures about 5 1/2 inches high. The base is 5 inches across.